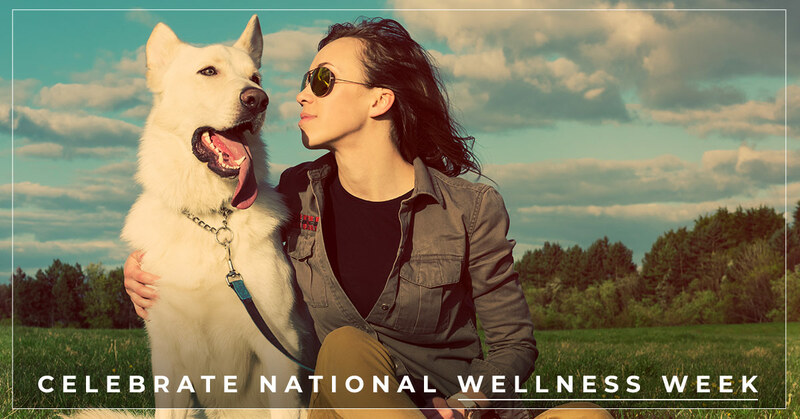 We’re happy to tell you that this week is National Wellness Week! So what is wellness and why does it need an entire week? We’ll be getting into that shortly, but before we get started, we’d like to address the importance of mental health. While therapy can be one form of ‘treatment’ for mental health, it’s vital that you do everything you can to take care of yourself. Just like the fact that you only have one body, you also only have one mind when it comes to your health. In today’s blog, we’ll be touching on some ways you can take care of your mental health. If you’d like to meet with a supportive and trustworthy psychologist, then contact us to schedule an appointment for therapy. The official definition of wellness is “that state of being in good health, especially as an actively pursued goal.” Many may think that wellness is just for people who preach veganism and exercise several times a day. However, wellness is actually for everyone who wants to feel better mentally and physically. It’s the desire to make healthy lifestyle choices such as choosing to eat carrots instead of another cupcake or to go to the gym instead of going home to watch Netflix. Wellness is for those who want to actively pursue a lifestyle that will make them feel and look great. Wellness is an important concept to introduce in your life because it helps your mental, physical, and emotional state. However, it can be very difficult to implement in your life, especially because you probably already feel like you’re doing a lot. For this reason, we want to address wellness during National Wellness Week. National Wellness Week is a way to educate you about the importance of wellness. It’s always the third week in September as a portion of SAMHSA’s National Recovery Month. The reason that this week is celebrated is to inspire and educate about the Eight Dimensions Of Wellness. The Eight Dimensions of Wellness are emotional, financial, social, spiritual, occupational, environmental, physical, and intellectual. Knowing about wellness is even more important for those who have behavioral conditions. Wellness can help relate to longevity and life. Many people who are diagnosed with a mental illness will die years earlier than most of the general population because of physical issues such as heart disease, diabetes, high blood pressure and similar health issues. When trauma goes unaddressed, it can influence your overall well-being. Unaddressed trauma will impact a person’s emotional, social, physical, spiritual, and physical well-being. This means that if you experience a trauma, in time it can manifest itself into physical problems. There are several ways to incorporate wellness in your life. It’s important to note that life can be unexpected and exciting, but it can also be very difficult. If you are facing hardships or you just want a reliable and trustworthy person to speak to, then the Metis Center For Psychological Services can be of service. If you’d like to live a healthier lifestyle for your mental and physical health, then try some of these methods. Keep in mind that some of them may work, none of them, or all of them. It’s a case-by-case situation and what may work for one person may not work for another. Therapy: This method can be exceptionally vital for those who are in the midst of a difficult time person in their lives. Perhaps you’ve recently broken up with a long-term significant other. Maybe you just realized something personal about yourself and you’d like to discuss it with a non-judgmental presence. Perhaps you’re dissatisfied with your career and you feel stuck. Whatever the case may be, talking to an outside source can be very vital. Meditate: Meditation can be so helpful. Not only does it increase life expectancy, but it also provides you with time to decompress. Meditation takes many different forms. You can go to classes, read books, download apps, or just go into nature and sit there for a while reconnecting. There’s no right or wrong way to meditate. Exercise: Similar to meditation, exercise can be a beneficial choice because you’re getting healthy while you’re also clearing your mind. Daily exercise is incredibly vital to living healthier and feeling great. If you hate exercising, then try doing a few different types and see what sticks. From doing 15 minutes of yoga in your living room to taking spin classes or just going to the gym to lift weights, there are so many ways to exercise. See Wellness Through Different Eyes: Lastly, you’ll want to see wellness through different eyes. Instead of seeing it as a punishment or something you have to do, consider it a reward because it can be fun. For more information on wellness or just to talk to a professional about addressing issues that you’ve wanted to discuss, you can contact us. We offer a free consultation, which makes booking an appointment easier.